So I just got back from a short road trip and I feel quite successful with the amount of crocheting in the car I was able to accomplish. Without the light in the car on. We don’t like to have the lights in the car on unless it’s an emergency (because of other drivers on the road) and it’s not great for the battery. Rewind two months. 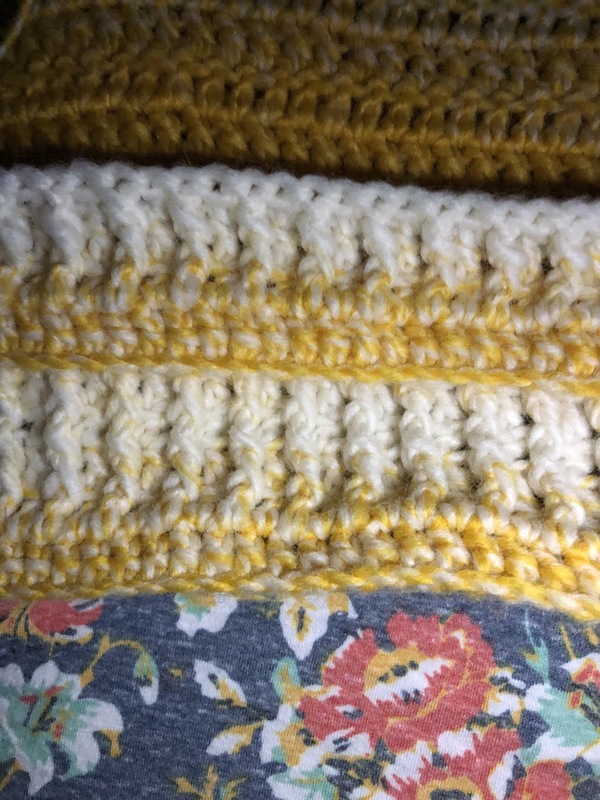 I was in the car for a trip and had been crocheting earlier in the day but it got dark and I had to stop. 😑 I sometimes will think to pack a project that I can do by feel but I didn’t that day. 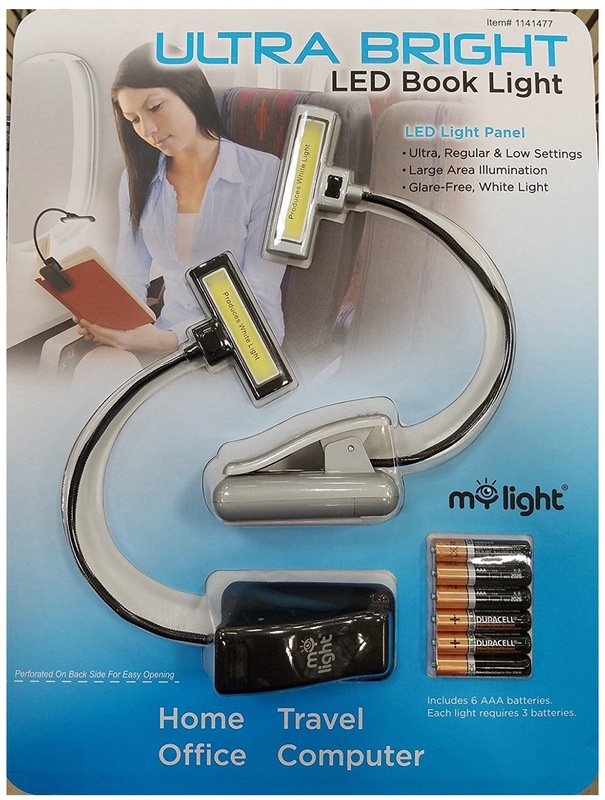 A few days later, I saw my dad reading with this really nice book light. The arm is super adjustable, unlike any I’d ever seen. 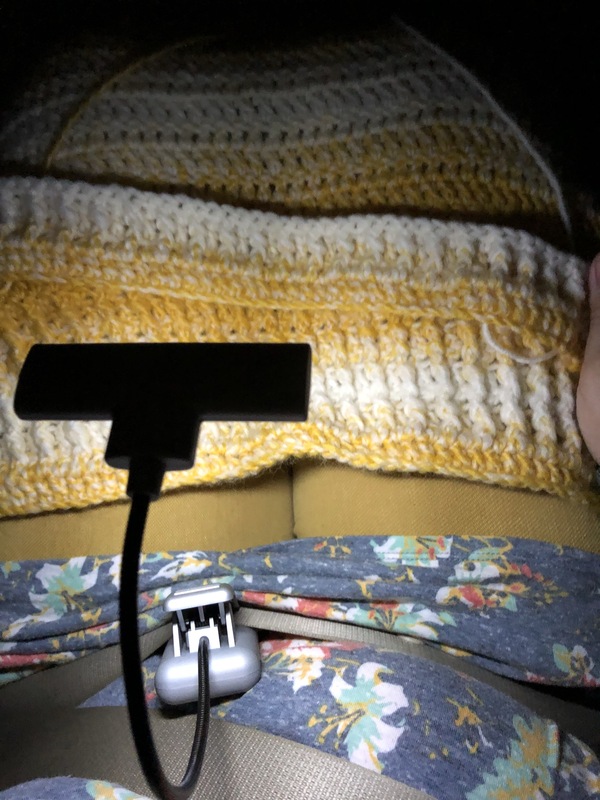 Book light strapped to my seatbelt in the car for night crocheting. 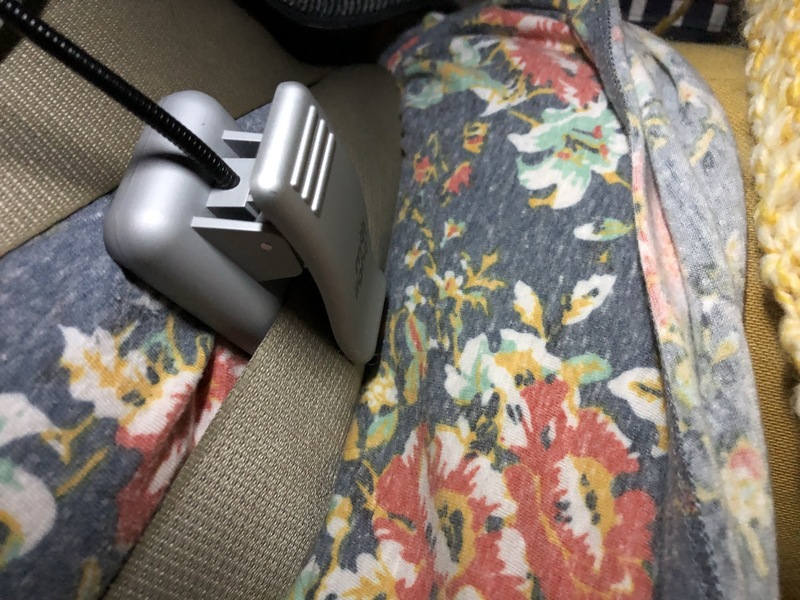 I hooked it to the lap strap of my seatbelt. And made sure the light was pointing down (be safe! ), especially since I was in the front passenger seat. Guys. This was the best idea ever. Also, this match up of the colors is so perfect. I can’t say I didn’t try it, but didn’t try hard. I didn’t measure anything out to make the colors line up. I eyeballed it and am super impressed. 😊 Not sure if it will stay this good throughout but I’m glad the starting edge will have some consistency. I have some light up hooks, but this sounds like a better idea. Thanks for the tip! You are so welcome! ❤️ I’ve heard mixed reviews on the light up hooks so I haven’t bought them. The light worked splendidly! They only light up enough to see the stitch you are making, but not the rest of the project. I think I’ll stick with my light! 💡😉 Thanks for the feedback!